This is the third installment of my series on bennettites and this time I will try to describe them, for paleoartists, in plain language. For more scientific language or references please review the last two posts. There are three or four basic ‘looks’, or habits, for bennettites, and they differ mainly in the stem configuration. 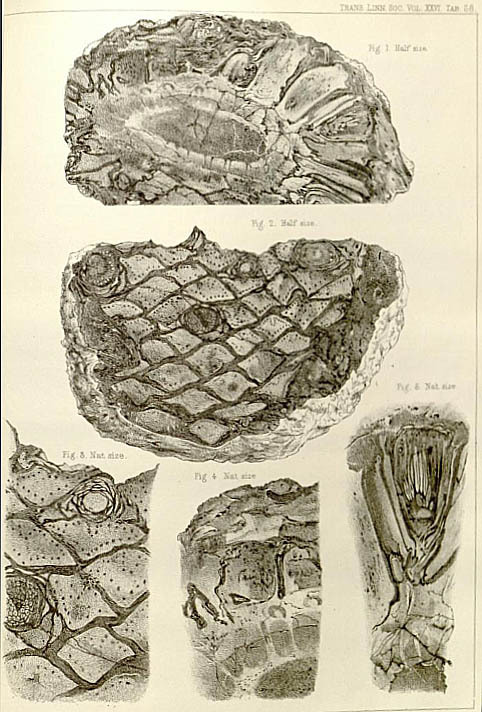 Excellent illustrations of bennettite trunks, showing the rhomboidal leaf scars, from Carruthers, 1870. The first habit is a low, squat, trunk with a crown of fronds at the top. These bennettites resembled the smaller cycads of today. 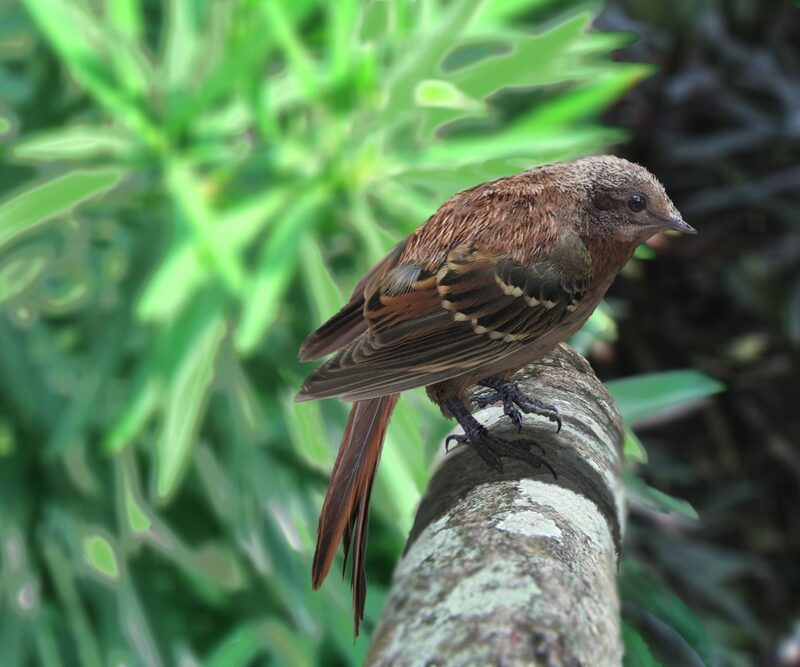 This category includes taxa like Cycadeoidea and Monanthesia which were common in Jurassic and Early Cretaceous North America, England, and Europe. These are rarely more than a meter tall and a meter wide, and can be roughly hemispherical, spherical, cylindrical, or truncated cones. The surface is rough, often bearing rhomboidal scales arranged helically around the circumference. These scales are actually the scars where dead leaves have broken off of the plant as it grew. Female cones, which resemble flowers, can emerge from the walls of the stem. In Cycadeoidea the cones are large and widely spaced. In Monantheisa they are small and emerge in the axil of every leaf. 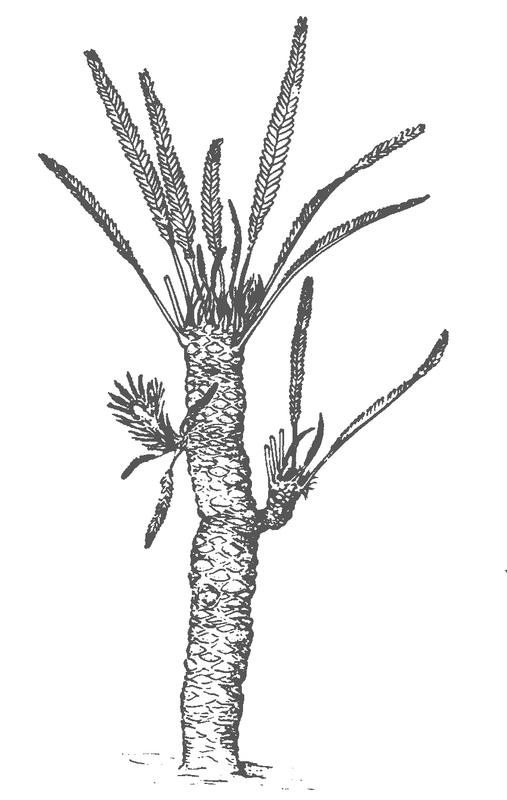 The fronds at the top can be long and their bases are arranged spirally, but no mature leaves have been found attached to the stems. Zamites would be a perfectly reasonable leaf to use. Occasionally these low bennettites may branch, forming two crowns of fronds pointed upwards. Cycas, a modern, tall, cycad. Lioxylon from Middle Jurassic China may have looked much the same. 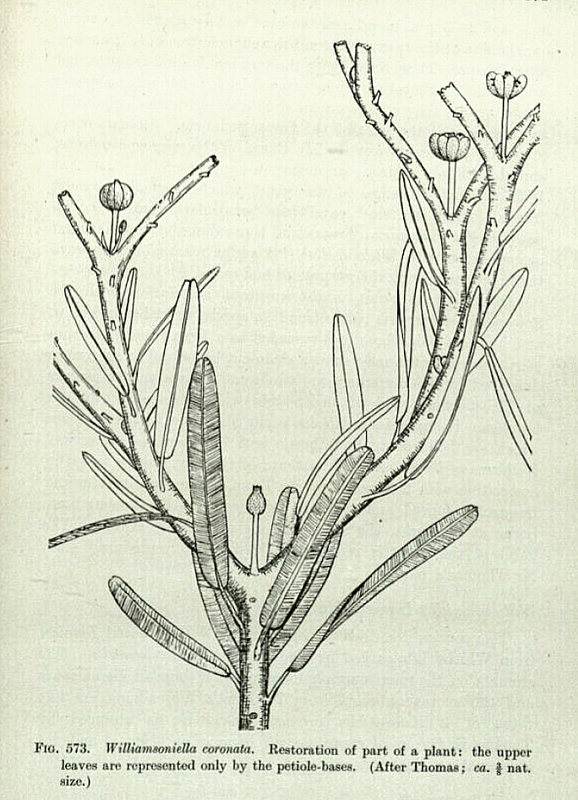 Williamsonia sewardiana, from Jurassic India, after Sahni (1932). The next habit is similar but taller and more slender, something like a palm tree or tall cycad of today. The stem is still covered in rhomboidal scales but now it may be two meters or more tall, and 14 cm in diameter. Other specimens are much narrower than that. It still has a crown of fronds at the top. Like before it can also branch, usually just once. The cones emerge from the stem on short stems called laterals, and these also have fronds attached in some cases, surrounding the cone. These include Williamsonia sewardiana, of Jurassic India, and Bucklandia of England. Both can have fronds of the Ptilophyllum type. 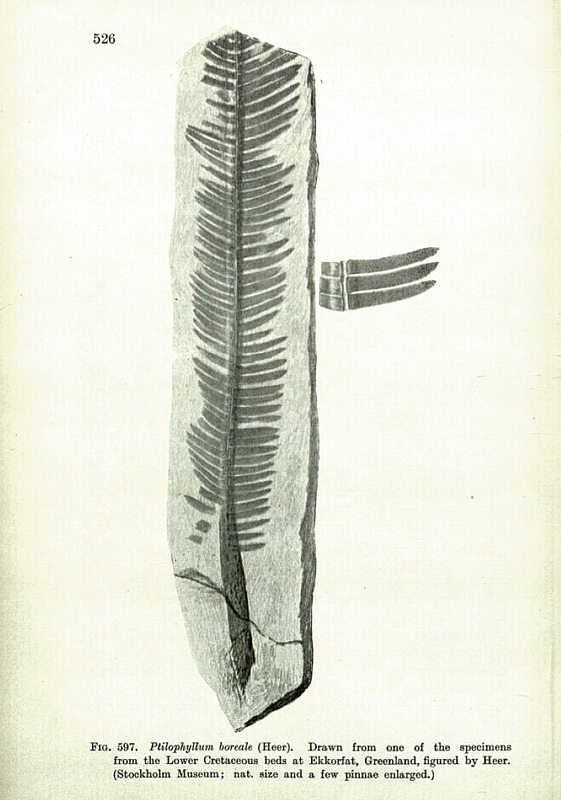 A Ptilophyllum – type leaf fossil. Anomozamites Haifanggouensis. Middle Jurassic Jiulongshan Formation, China. The last main habit category is much more branched and slender, and this is where things get a bit more complicated. No whole plant fossils are known for this category but we have a great deal of fragmentary evidence. 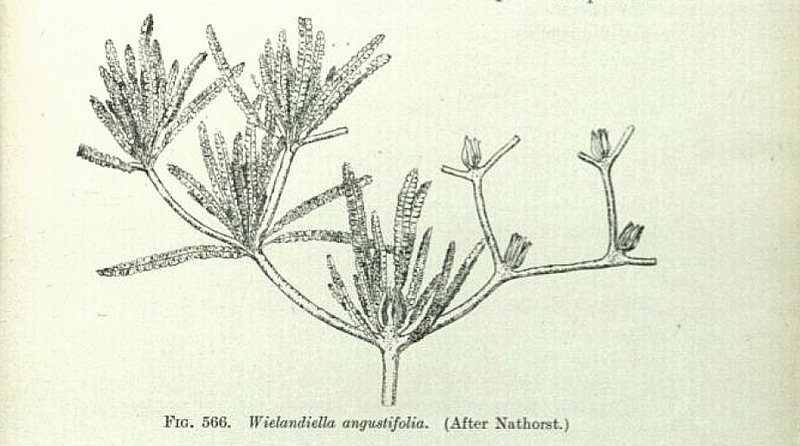 There are authors who suggest that some of these plants (Sahnioxylon) could have been 25 meter tall trees with trunks 30 cm in diameter or more. 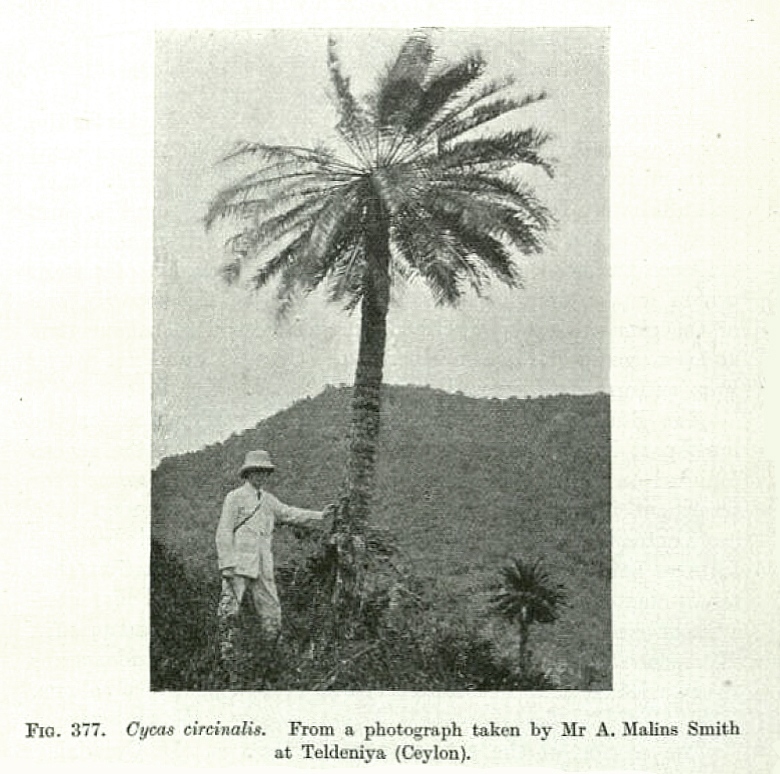 Authors also think some of these bennettites, like Rehezamites, were shrubby like the modern cycads Bowenia serrulata, Zamia restrepoi, and Macrozamia fawcetti. One common type of slender – stemmed bennettite is exemplified by Wielandiella. It branches every few centimeters and there are crowns of Anomozamites – type leaves and one cone in each fork. In a weird way the familiar little spiral terminal leaf crowns have just multiplied many times and moved into in the forks of many slender stems. This plant was described by Nathorst in 1902 but, a century later, Anomozamites haifanggouensis was found with clusters of small, oval, male cones dangling from the same leaf crowns. This plant is from Middle Jurassic Daohugou, but it is from the Jiulongshan Formation, underneath the Tiaojishan Formation. This category of bennettite has one feature that is unusual in plants today. The branching is dichasial, which means totally symmetrical. The stem always forks in two, and the two branches are always equal in diameter and length. If you google the word ‘dichasium’ you can see how this branching pattern can lead to a dense, bushy, plant after just a few rounds of branching. 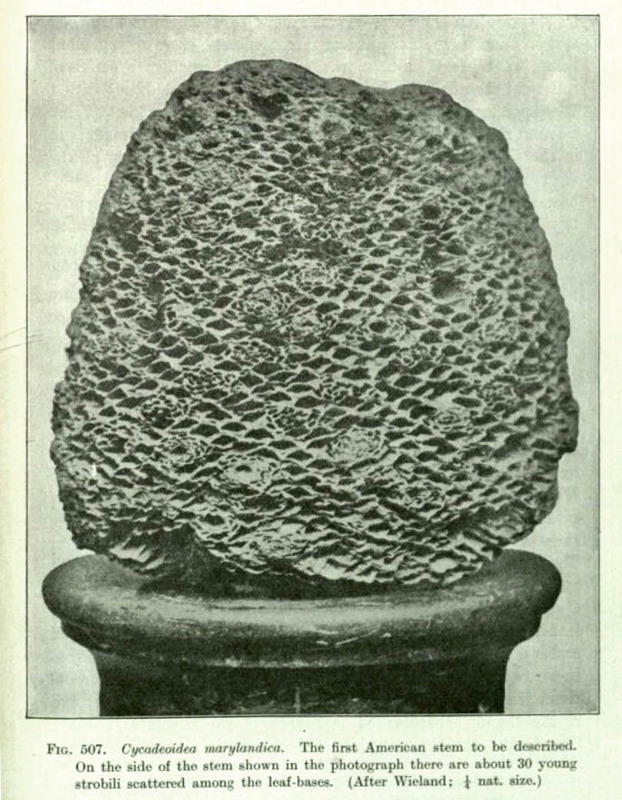 Another type of branching bennettite includes Tyrmia and Baikalophyllum from Early Cretaceous China and Siberia. Here the spiral crowns of leaves remain just at the terminal ends of the stems, not in the forks between them. Below the leaf crown is a collar, a few centimeters long, of rhomboidal scales, just like in bennettites type 1 and 2 but smaller and on the end of slender stems. These stems may be 1 cm in diameter or so and the plants were probably shrubs, easily reaching 3 meters tall. 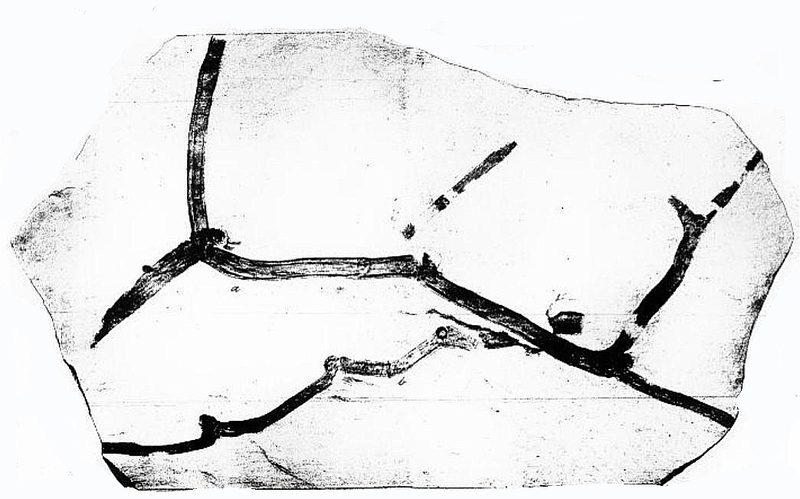 One of Nathorst’s original fossils of Wielandiella, showing the dichasial branching. To see examples of modern plants that may look something like this, try frangipani trees (Plumeria), Euphorbia obtusifolia, and sumac (Rhus). I look at plants like Cordylline australis, and C. obtecta, or even rhododendrons, as possible superficial models. 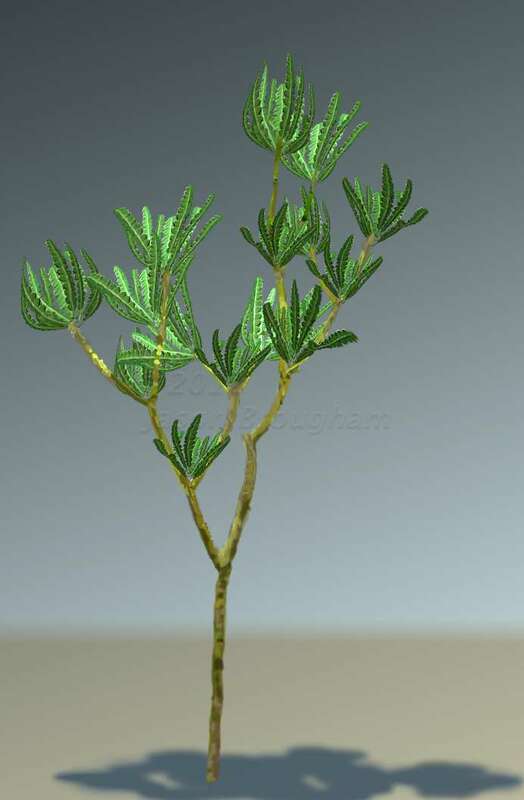 The final branched bennettite I’ll mention is Williamsoniella coronata, from Jurassic England. It is strictly dichasial and has 2 cm cones in the forks of the stems, but it no longer retains the spiral leaf crowns. Its leaves (Nilssoniopteris – type) are distributed quite widely along the stems, and they leave small leaf scars when they drop off. With this sort of leaf pattern the plant may have looked like shrubby, less columnar, forms of Podocarpus macrophyllus. Computer illustration copyright 2013, Jason Brougham. Other illustrations froms Seward (1898) and Carruthers (1870). Williamsoniella coronata from Jurassic England. Seward, 1898.